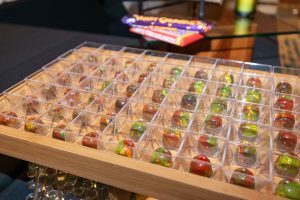 With the theme, “Worth Its Weight in Gold: The History of Chocolate,” the sixth annual Big Island Chocolate Festival is scheduled for Friday and Saturday, April 28 and 29, with events headquartered from the Hapuna Beach Prince Hotel on the Kohala Coast. 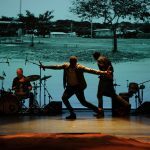 The “must-attend” festival gala—featuring food booths, unlimited wine and beer pours, silent auction, dancing and more—will be held on April 29 from 5 to 9 p.m. Early Bird and VIP tickets are available online. 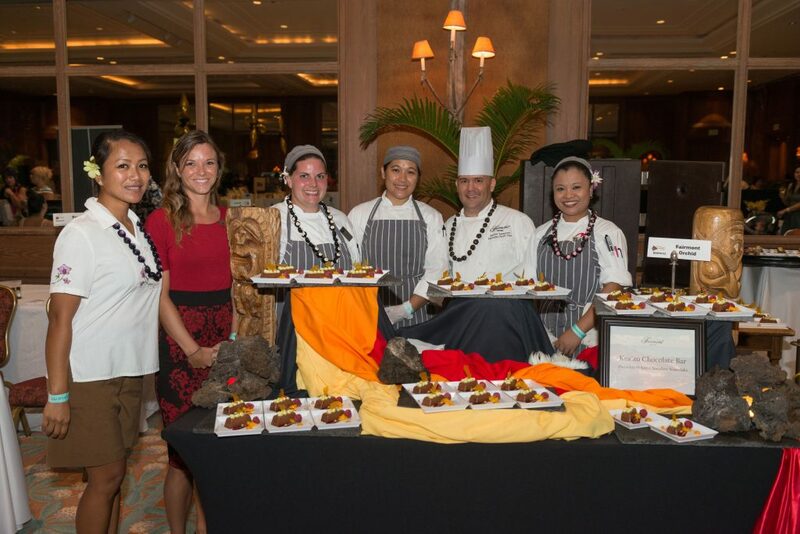 Presented by the Kona Cacao Association, event proceeds annually benefit a variety of local nonprofits—yet to be selected for 2017. Big Island Chocolate Festival. Kirk Shorte photo. 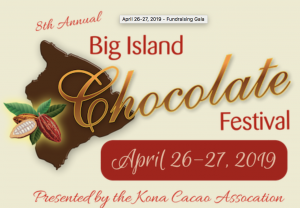 “Chocolate has an amazing history and it will be fun to share it at this year’s Big Island Chocolate Festival,” said KCA President Farsheed Bonakdar. On April 28, there’s a morning tour of a cacao plantation tour at Original Hawaiian Chocolate Factory. The two-day chocolate extravaganza also includes a college culinary competition and several public foodie and agriculture-themed seminars. 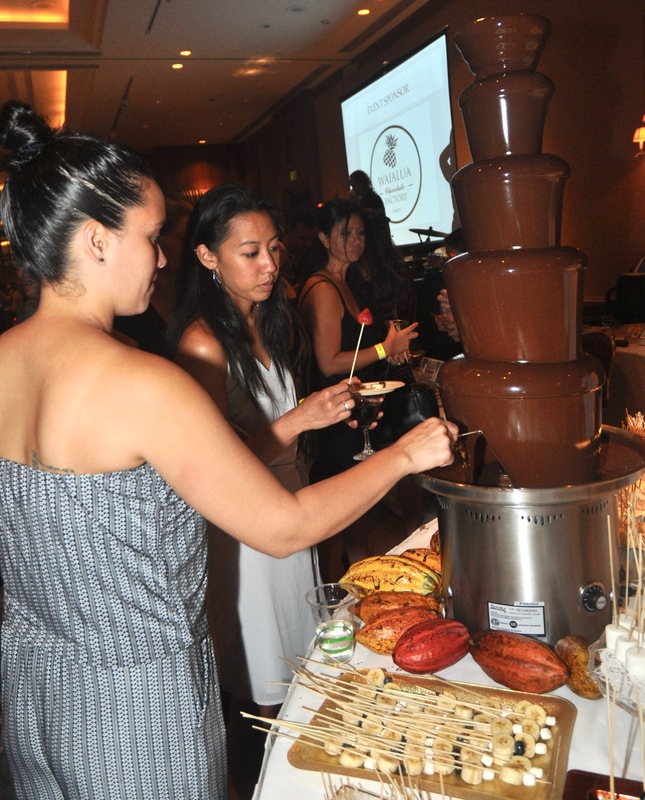 Activities culminate on April 29 from 5 to 9 p.m. with the indoor-outdoor festival gala—enjoy a host of sweet and savory culinary stations presented by top isle chefs, chocolatiers and confectioners. Fun chocolate activities include a live chocolate sculpture and chocolate body painting. Chocolate hails from Meso-America where cacao beans were brewed to make a drink or fermented into an alcoholic beverage. Highly valued, the bean was used as currency. The Mayans and Aztecs believed cacao was divine, including it in rituals. Once fashioned into a bar, chocolate became valued in America. During wartime, it was included in soldiers’ rations and went to the moon with the Apollo astronauts. 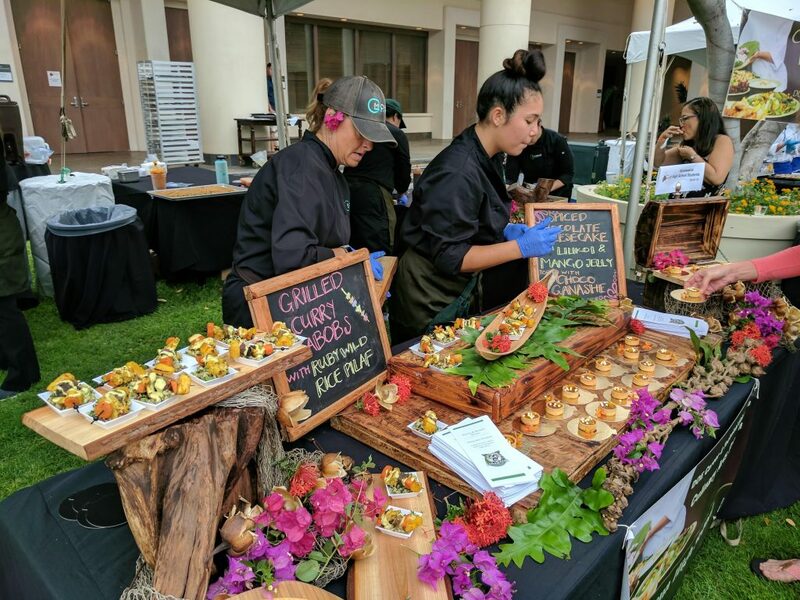 Culinary stations will also be vying for awards in a variety of categories judged by a panel of celebrity chefs: “best” bonbon, savory, bean-to-bar, plated dessert and Hawaiian cacao. Big Island Chocolate Festival. Fern Gavelek photo. General admission tickets to the gala are $79 pre-sale and $100 at the door. Special room/ticket packages for two start at $375 at the Hapuna Beach Prince Hotel and can be booked online. 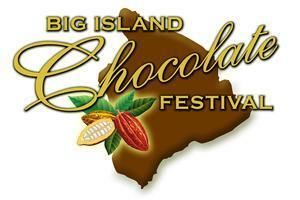 The Big Island Chocolate Festival is presented by the Kona Cacao Association Inc. 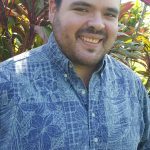 The mission and goal of KCA is to promote the cacao industry on the Big Island of Hawai‘i by presenting BICF as an educational and outreach opportunity for local cacao farmers, the hospitality industry and cacao enthusiasts.